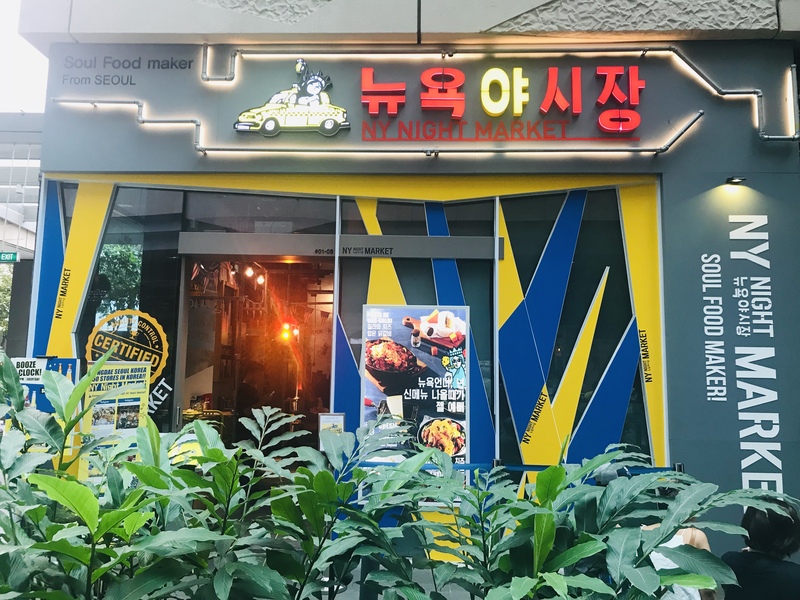 Korean fusion restaurant are getting more popular in Singapore. 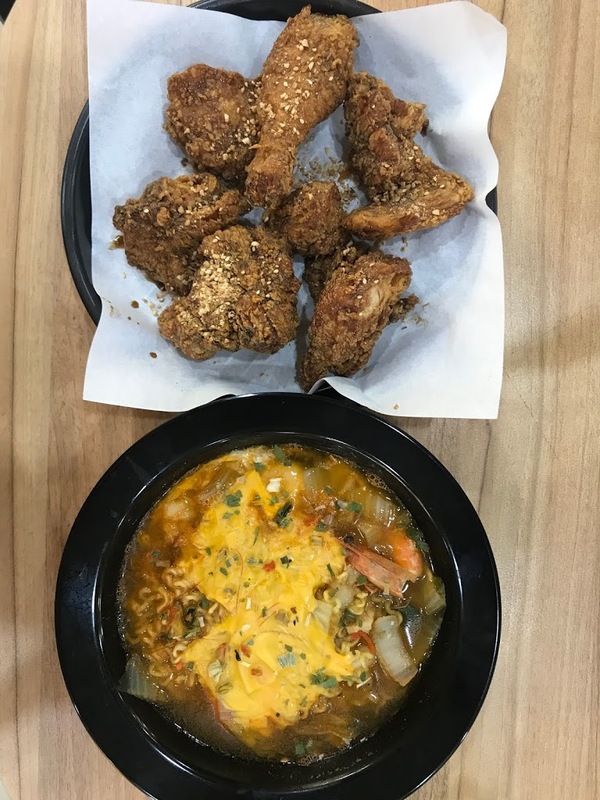 The other three Korean fusion restaurants I have covered are Nipong Naepong, Oh My Cafe and Omoomo. 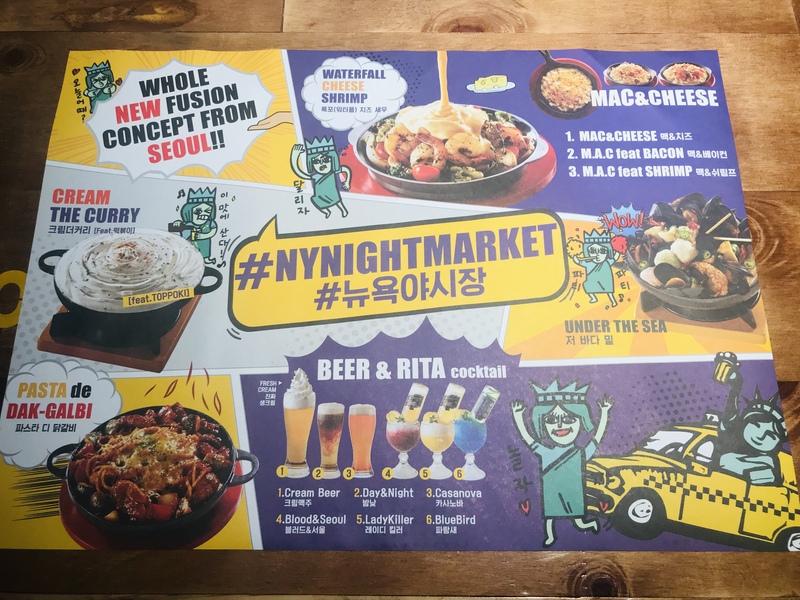 The fourth Korean fusion restaurant I am go ing to try out is NY Night Market in Westgate. NY Night Market was first established in Seoul, where it is better known as “New York Yasijang”. NY Night Market specialises in international street food that you can find in New York city. The decorations is all about New York. 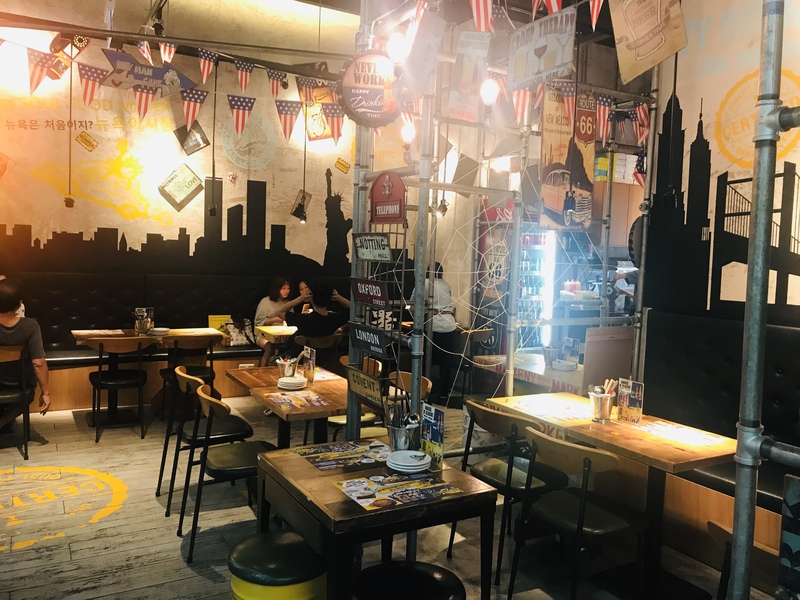 The walls are decorated with New York skyline, there are New York street signs and banners hanging everywhere. You can easily imagine yourself in New York city with a little imagination. 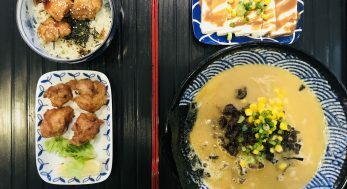 The paper table mat is printed with a number of NY Night market’s bestsellers, to help you with deciding what to order. Nothing gets more classic than macaroni and cheese, most American kids grew up eating this. NY Night Market’s Mac & Cheese [$8.90] is one level above the ones I have had so far. The soft macaroni are covered with a thick bubbling layer of cheese fondue. Shredded mozzarella, cheddar and grana padano are added on top for added creaminess. 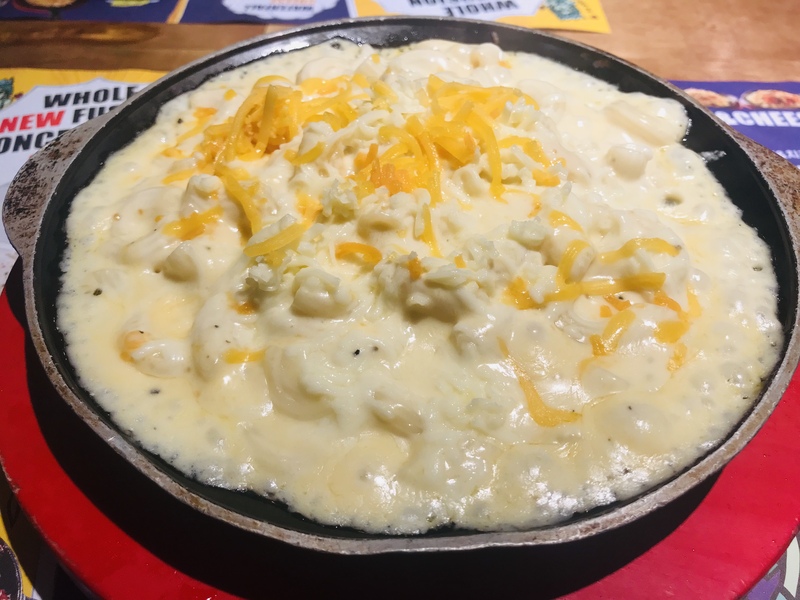 The dish is served on a sizzling hot plate, the cheese are bubbling away when it reaches your table. It just doesn’t get any better than this. The other two options available are Mac & Cheese feat. Shrimp [$11.90] and Mac & Cheese feat. Bacon [$10.90]. 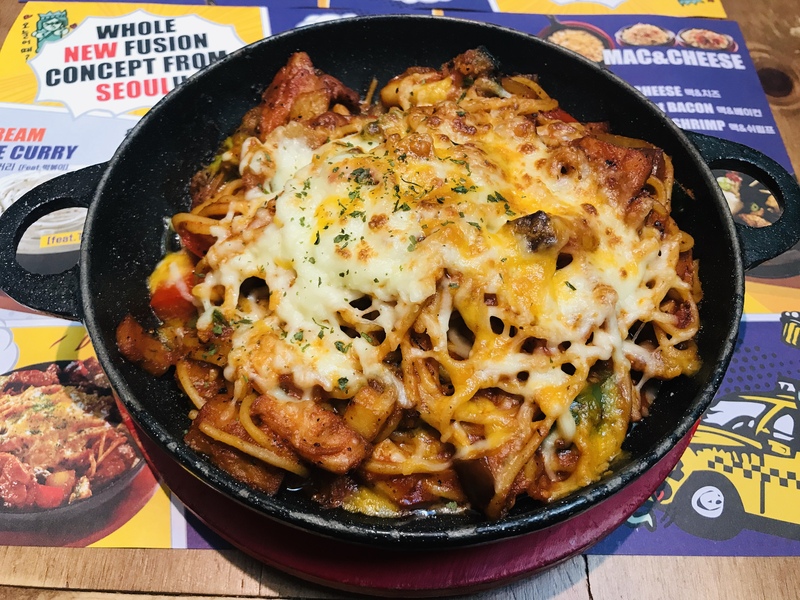 I have to give it up to the Koreans for such a wonderful fusion of Western and Korean in Pasta de Dak-Galbi [$16.90]. 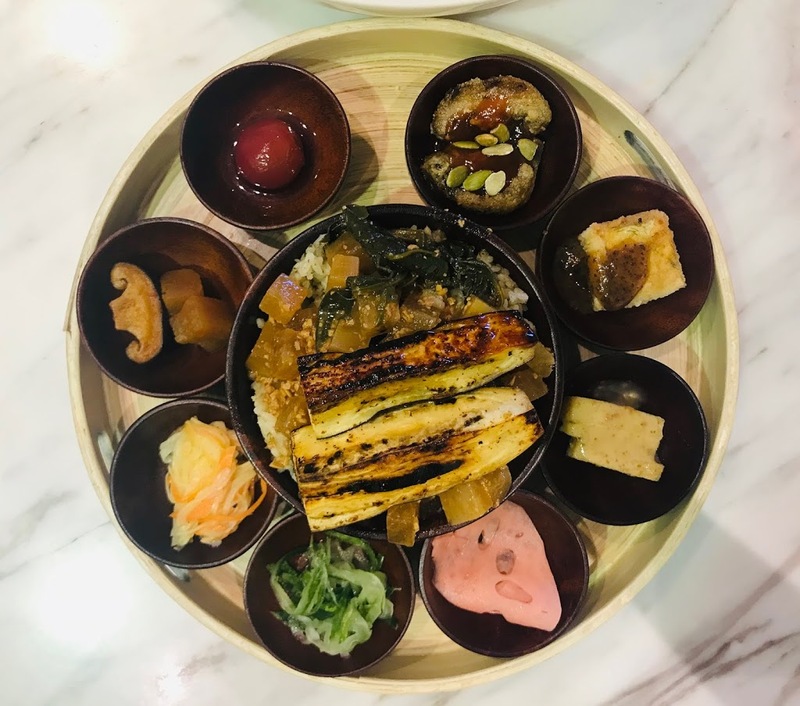 Dakgalbi is Korean spicy grilled chicken, with an assortment of vegetables. The Western part comes in the form of spaghetti and gooey melted cheese that tops the dish. Sweet, spicy and creamy all rolled in one. Waterfall Cheese Shrimp [$13.90] is one of the signatures of this restaurant, so I definitely have to try it. Succulent prawns are cooked together with broccoli, king oyster mushrooms and cherry tomatoes. Be careful, the black pepper makes it slightly spicy. It comes with a bucket of mozzarella and emmental cheese which is supposed to go on top of the dish. The creamy cheese does take the heat out of the black pepper. 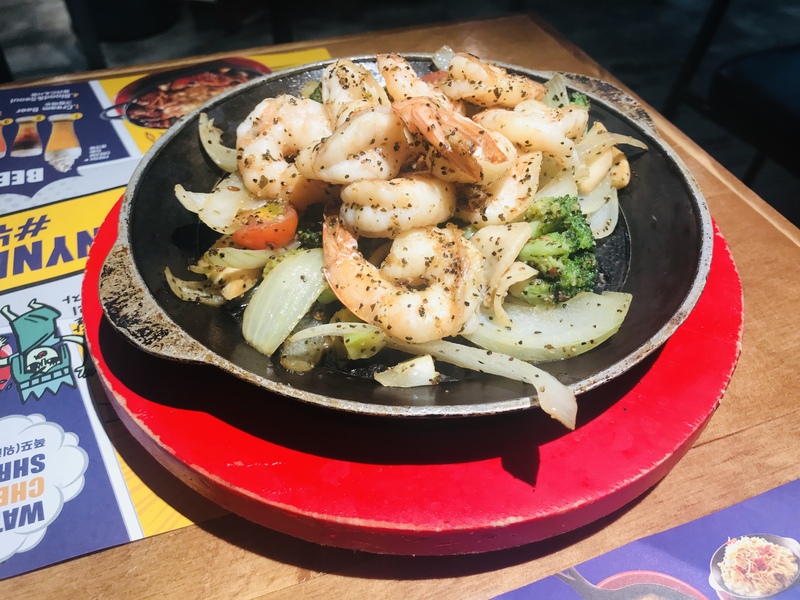 If cheese is not your thing, go for Gambas Al Ajillo [$13.90] which is basically prawns and vegetables sautéed in garlic and olive oil. Served with garlic breadsticks. 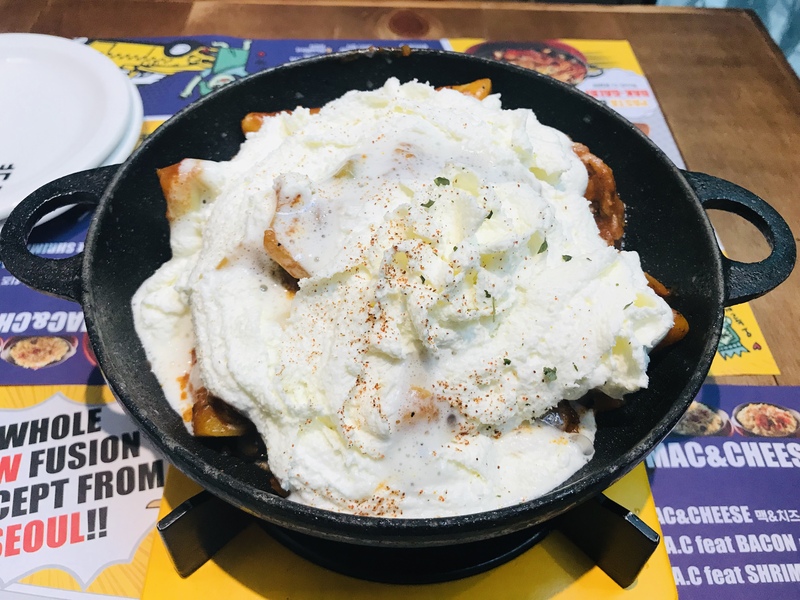 Although Cream The Curry [$13.90] is not found in the desserts section (there is no desserts section), but the creamy whipped cream does make this dish taste more sweet than savoury. Underneath the housemate whipped cream is toppoki (Korean rice cakes) in red curry. It is only mildly spicy and the whipped cream adds to its creaminess. This is the Westernised version of a popular Korean snack. NY Night Market offers non-alcoholic beverages, bottled beers, beer cocktails, rita cocktails, holiday smoothies and new york mocktails. 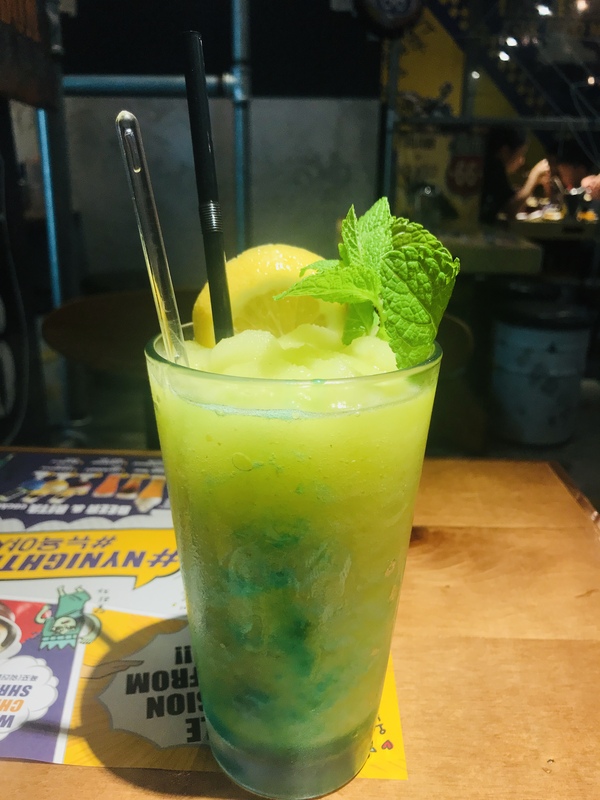 The one that I have here is Green Grape Smoothie [$8.90] which can be found under “holiday smoothies”. It is essentially ice-blended green grape juice, topped with a slice of lemon and a sprig of basil leave. Nevertheless, it is cooling and delicious. NY Night Market is the perfect place to come if you are sick of the usual Korean foods. Each dish offered at NY Night Market offers a new taste and experience of popular Korean and Western dishes.